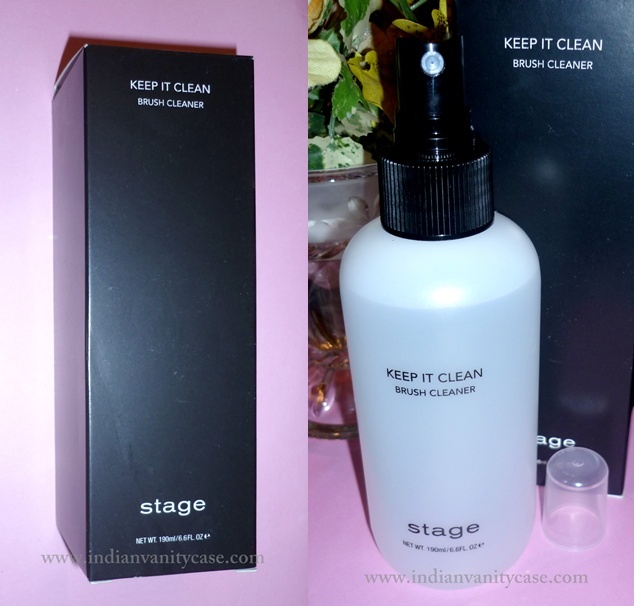 I mentioned Stage (a Malaysian cosmetics brand) in my previous post. Stage is very MAC/Inglot-ish, with their black packaging and how the products are displayed in their store. The red packaging is so pretty I couldn't resist. The eyeshadow quality is good too. Pigmented, vibrant and blendable. The dual-sided blending brush is nice and usable, unlike those flimsy sponge tip applicators that usually come with most eyeshadow palettes. I bought this for about Rs.1200 after discount. It was RM 135 (Rs.1941), which I wouldn't have paid for a brand I'd never tried before. It does a pretty good job at cleaning my brushes. I love that it's in a spray bottle, so cleaning by spritzing is fun. I just spritz a bit of it on my brushes and wipe on a tissue. When using a brush cleaner once or twice a week, you can deep clean with a mild shampoo once a fortnight or monthly. And it's CHEAP! Well, compared to the MAC one. It's about Rs.360! I would definitely buy more Stage stuff later after trying these. 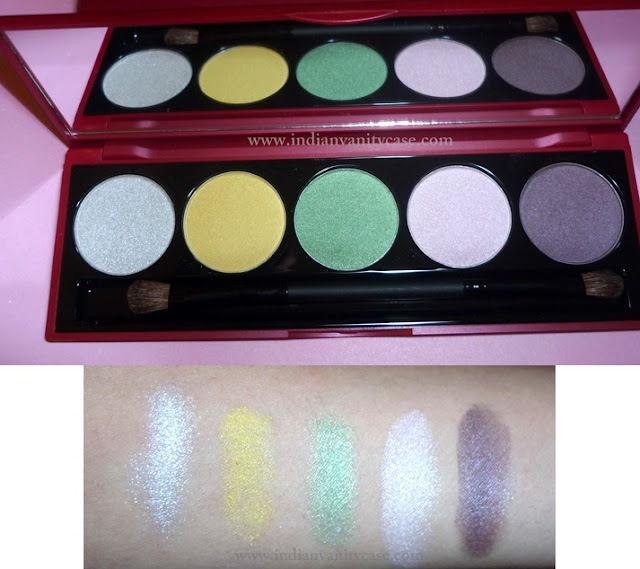 loved the eye pallets ..Colors are pretty pigmented..Did you swatch them once or twice? Sadly, i'm not into eye shadows for now but I love ur eye shadow haul and the way it looks good on u <3. I have a Canadian drug store brand Quo's brush cleanser. I don't think it compares to my MAC one. I do think that brush cleansers, especially high end ones are not worth the price. I hope this one is as good. I love Stage makeup too. Nice Haul...Am kickin' myself for not picking up any Stage when I went to Malaysia :( The palette is gorgeous!